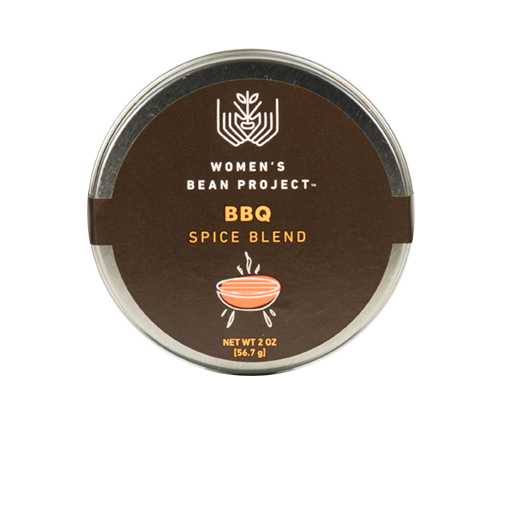 Use as a dry rub or mix with oil, Women’s Bean Project’s BBQ Spice Blend works well with red meat, fish and poultry. 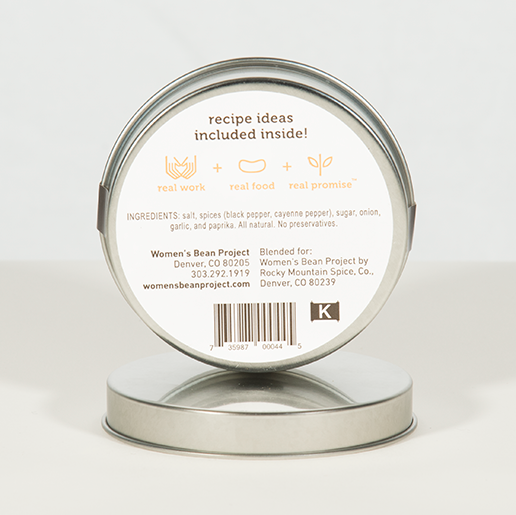 Comes packaged in reusable tin for easy storage. 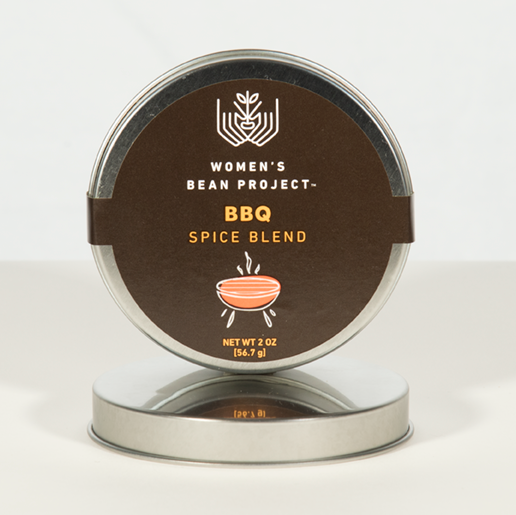 One of the best BBQ spices on the market, for sure. That’s a great story Christine, we’re happy to hear your son brought you a gift of our favorite BBQ rub! 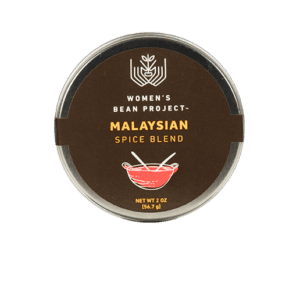 Thank you for the recommendation, and take a look at our Malaysian Spice Rub as well. 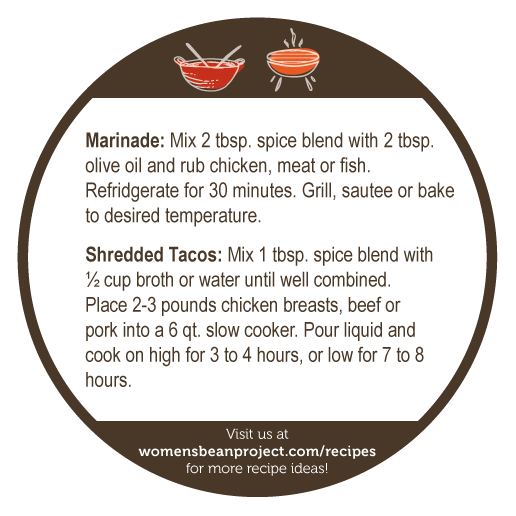 It’s great on fish, chicken and meat, and has a smoky flavor. My son went on a middle school field trip to the farm. He brought this back as a gift for me. We used it all up on pork chops and ribs. 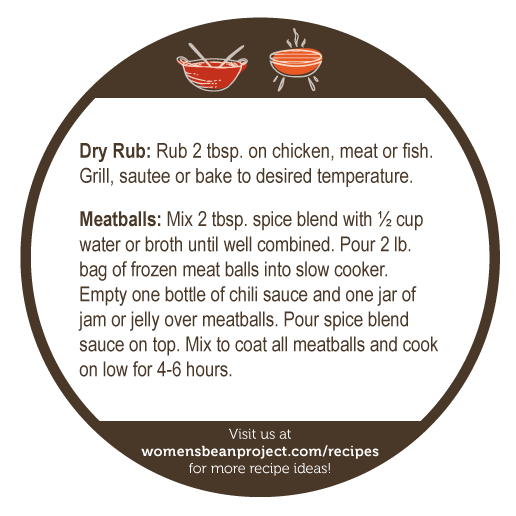 We loved it, it is our favorite rub. I like spicy so I do a little half and half…full on for me and cut with brown sugar for my husband as he like mild. Really wonderful flavor! Highly recommend. So glad you like our Uncle Bob’s BBQ Rub Christine! It makes a great rub for chicken, pork chops, ribs and so much more! Love this rub! It is a little spicy and it can also be softened a little with some brown sugar if you need to lighten it up. I have used it on port chops and ribs. my family loves it!